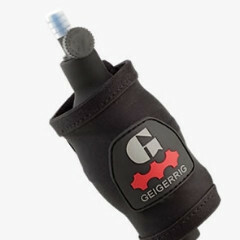 Upgrade your standard ol' pack with a high performance GEIGERRIG hydration engine. Simply route your drink tube down one pack strap and your pressurization tube and bulb down the other pack strap. Strap the bulb to your pack strap for easy access and pressure adjustment.